The samurai of ancient Japan were no strangers to wearing armor. 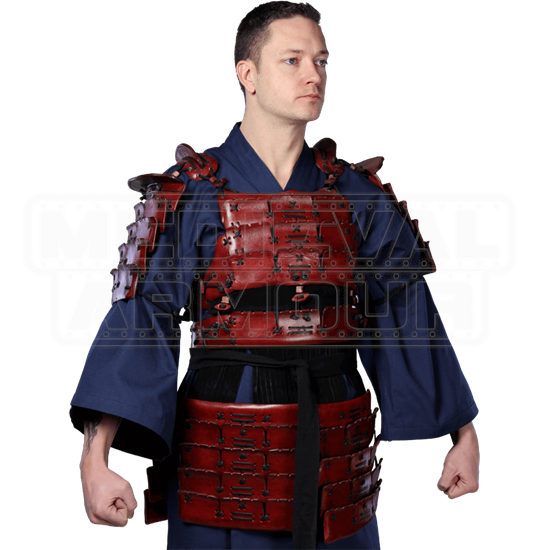 This Leather Samurai Armor is a recreation of the traditional great armor in leather so that modern-day warriors can enjoy the same protection that these legendary warriors once wore. The armor is crafted entirely in fine 7/8 oz. leather that recreates the iconic look of the O-yoroi, or Great Armor, by layering leather plates in a highly protective and highly stylized fashion. It consists of a layered chest piece that comes with attached shoulder plates and a matched tasset belt for waistline protection. 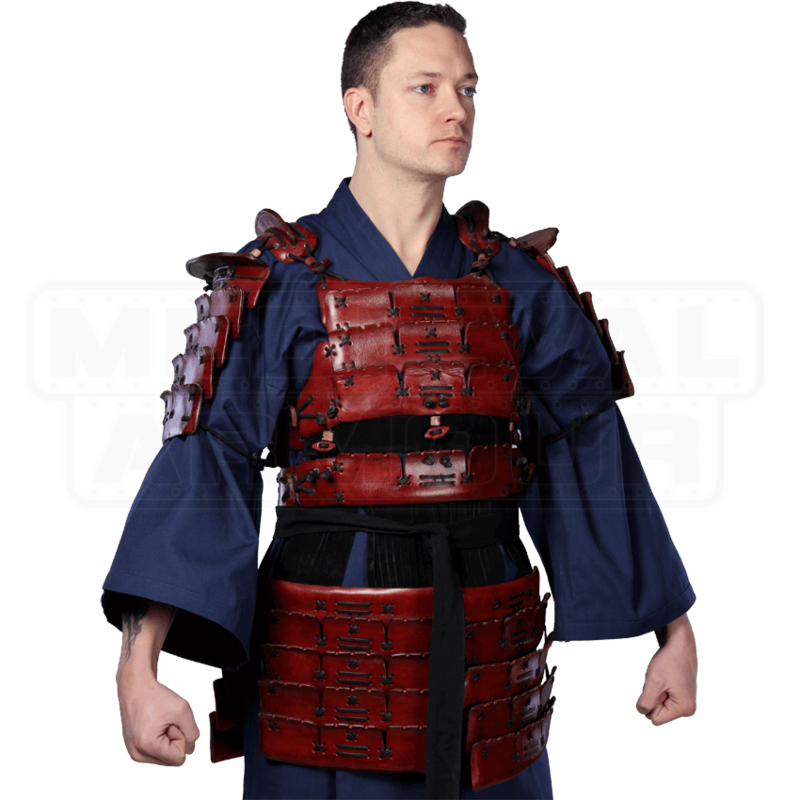 For layered protection that not only keeps you safe but recreates the iconic look of the legendary Japanese Samurai, nothing comes closer to the iconic look and form than this Leather Samurai Armor!